Where you live affects everything about your lifestyle. Every. Single. Day. Read the above statement again and let it sink in. Why? Because we truly believe finding a location that matches your wants and needs is so critical to your happiness in your home and your daily life. Think about this … you can always change or alter something you don’t like about a particular home. You can paint over some god-awful color in the bedroom, upgrade a kitchen with new stainless appliances, or even budget for large family room addition. What you can’t do is change the location! No matter how much you may love everything about your new home, if you are frustrated with your neighborhood or it doesn’t fit with who you are or who you want to be, then you aren’t going to be satisfied … ever. Keep in mind though that you can find a similar neighborhood with the same feel and conveniences of a favorite neighborhood, but it may be more in line with your price range or closer to your work. That is why doing research on all sorts of neighborhoods is worth your time before you start house hunting. There could be a hidden gem just for you! First we will cover how you can learn more about neighborhoods and research tips. Then we will give you some guidance on how you can figure out what characteristics you most want in a neighborhood or location. Your list of “wants, needs & musts” is what should drive your search for a home and compatible neighborhoods. If you’re ready to buy a home, then schedule some time now to gather as much information you can on different neighborhoods. Don’t cancel out certain areas or states (you can cross the bridge!) since you might be surprised how compatible they are to your lifestyle and budget. Do Some Foot Work Even though the internet can give you lots of information, it’s still good to do some research on foot and face-to-face. 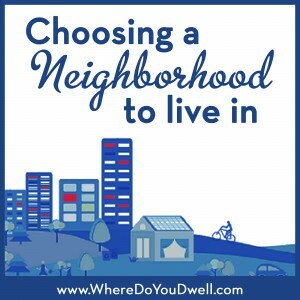 Ask friends, family or colleagues about neighborhoods they like, have heard about or even live in. Talk to people who live in the District, MD, or VA. There are lots of choices and new communities all over so be adventurous and use these personal contacts! Plan to visit friends, family, colleagues and see their neighborhoods in person. Meet them for lunch or dinner, walk around, visit stores. You’ll get a better feel for the atmosphere and amenities of the area. You should get honest and direct answers about schools, crime, traffic, parking etc. Drive around both day and night, rush hour and weekends, and as much as possible to see how the neighborhood works and functions on a daily basis. Find out from your contacts if their neighborhood has a good community listserv or e-newsletter and sign up! Whether it is via email, Facebook, Twitter, Instagram or however they may keep neighbors updated, you’ll be able to monitor posts. These can give you a more inside look at a particular location – events, activities, a sense of the community feel, and any ongoing concerns by neighbors. The internet makes it very easy and convenient to get information on different neighborhoods. Look into the neighborhood BID (Business Improvement District). Many of them have weekly e-newsletters. A BID provides addresses cleanliness, maintenance, safety, promotion, and economic development of certain neighborhoods. It’s the little daily habits that can make a big difference in where you live. A certain neighborhood may or may not match what you love to do every day or even need to do every day. Why frustrate yourself from the get-go? Determine what you like most about your day. Really consider what you do and don’t like about your current neighborhood. Write it ALL down. Do you love being able to walk to work? Do you love going to your local coffee house every day? Do you like to go for runs outside? Do you need to walk your dog or live near a dog park? Do you love to be near restaurants, theaters, or close to more vibrant hot spots? Do you hate crowds, busy streets and traffic? How important is a car and/or parking space to you? Do you want a car-free life where you can walk, metro or bike everywhere? Or you can’t imagine your life without a car. Is community important to you or schools, recreation centers or park space? Do you feel the need for green space, grass, trees and lots of open space? Do you love to garden or want a large backyard for children or dogs? Or is a playground or dog park nearby sufficient? And, if prices don’t match your budget, then you can still find the same “neighborly” vibe but for less cost in another location. If your “must” is being able to walk to work or be near a metro, then everything else could change (the home’s size, condition, etc.). Your budget will determine what type of home you can afford in a particular neighborhood – such as a detached home, townhome or condo unit. 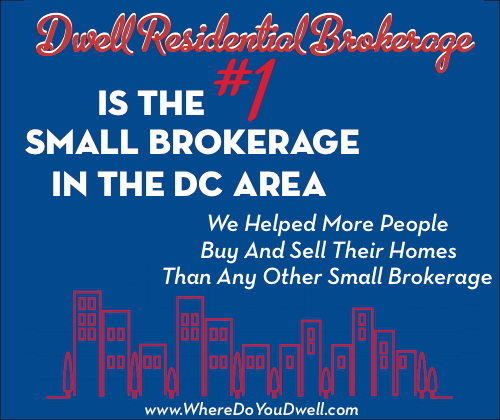 You can always tweak your budget or rethink some of your “musts” if you’re way off base and can’t even find a comparable neighborhood. There are certain factors in a location – both desirable and undesirable — that you should consider for resale value. Does the neighborhood have good schools? Is the home on a busy corner lot? Crime and traffic can affect a home’s value. Also, keep in mind that revitalizing neighborhoods can be on your list if “desirable” neighborhoods are out of your price range. An up and coming neighborhood could be a bargain if you time it right, but do your research and be confident it’s heading upwards. As you can see, do your research! You’ll be more satisfied with your purchase if you know about different neighborhoods. They’ll be no “what ifs” or “should haves” that will haunt you in your new home!